"Steve is friendly, efficient and his prices are affordable. I think I've found my Electrician for life now." 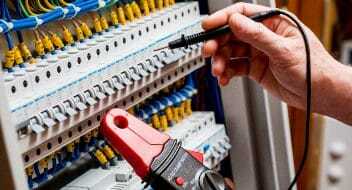 Steve is a fully qualified and New Zealand registered master electrician. You can be sure that the work will be done on-time and done right first time. With over 20 years experience, Steve has seen and serviced all from the smallest electrical jobs to complex electrical problems. 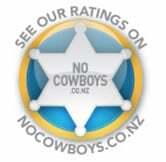 With a 99% approval rating in NoCowboys, you can be sure you’re dealing with an honest, reliable and friendly kiwi electrician. 99% approval from 35 authenticated ratings in NoCowboys.